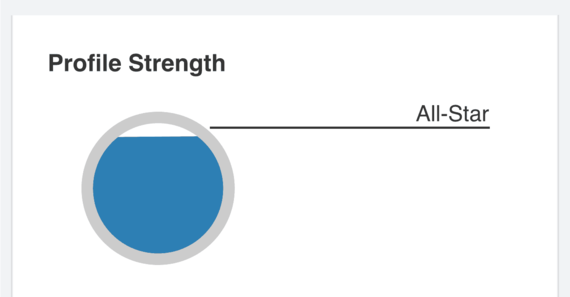 The most common question I get from my network is how to grow a reputation in an industry, while also attending to the responsibilities of a full-time job. There is often not enough time in the day or space in your brain to come up with new ideas and execute against them after working a 40 hour plus week, but every year it becomes more critical that you set aside time do so. 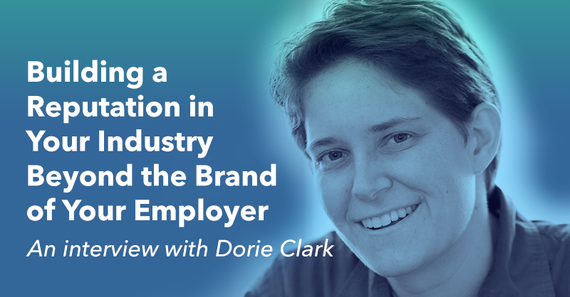 In Dorie Clark's new book, Stand Out: How to Find Your Breakthrough Idea and Build a Following Around It, she urges readers to begin working on their reputation in and out of the workplace to ensure they are a necessary commodity throughout their career. 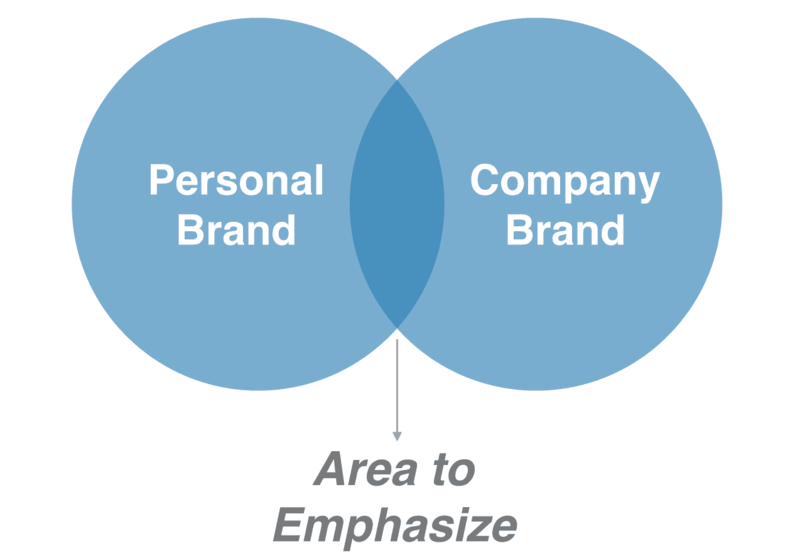 Building a strong brand for yourself is invaluable in today's economy, whether you're trying to increase your authority and move up the ranks at the organization you work for, building your own roster of clients to begin working as a freelancer or starting to grow some other form of entrepreneurial venture. It's no easy task, but with the right strategy in place anyone can establish themselves as a thought leader in their industry if they work hard enough to add to the discourse and build a following around their ideas. I asked Clark, a marketing strategy consultant, Duke Fuqua professor and a contributor to Harvard Business Review and Forbes, to provide tips on how to best grow your personal brand, while maintaining a full-time job and ensuring that this reputation doesn't clash with an employer's interests, but instead aligns with them. 1. Making the effort to expand your reputation is often difficult. How would you suggest an employee motivate themselves to stand out in their industry? Ultimately this is a question of career insurance. "Standing out" isn't just nice to have anymore. As the workplace gets more competitive thanks to globalization (and an economy where there is always someone who will work for less money), it's mandatory to establish why your employer should keep paying you, rather than switching to a cheaper option. Establishing your reputation as an expert in your company or your industry makes it clear why you're worth it. 2. What are some low risks ways to establish your reputation while still being employed full-time? Two things that are very important are building your network and starting to create an online presence for yourself. Building your network can involve things as simple as making a point to have lunch regularly with particularly important contacts, or pinging them via email to stay in touch. That's critical because your network can serve as a sounding board to give you professional guidance and steer opportunities your way, and "talk you up" in general. And regarding your online presence, as we increasingly collaborate with colleagues around the world, what people find out about you when they Google you increasingly equates to your professional reputation. If you can ensure people are finding thoughtful, professional content - such as having a LinkedIn profile that's been filled out well, and perhaps writing blogs on the site - you're ahead of the pack. 3. You mention towards the end of Stand Out setting time aside for reflection and luck, how do you recommend a professional budget their time for reputation building as part of their busy schedule? The good news is that any activity you undertake to enhance your professional reputation - networking, content creation, developing new ideas, etc. - simultaneously has other benefits, so you can count it as a double win. For instance, in Stand Out, I profile John Corcoran, a Bay Area attorney who uses podcasting as a form of professional development (he gets to learn while he's interviewing people about topics of interest to him), marketing (the shows keep him top of mind among his clients and prospective clients), and networking (because he interviews guests he's been hoping to meet). It may be hard to justify spending time on "reputation building" alone, but it becomes easier when you realize it has many other benefits at the same time. 4. How would you suggest applying lessons learned from established thought leaders on their journey to success to your own process without getting overwhelmed by all the options? In Stand Out, I describe five strategies that professionals can use to develop their own breakthrough ideas, drawn from the experience of top thought leaders (attacking a big problem, finding a niche, combining fields or disciplines, creating original research, and developing a framework to help make sense of the problem). It's important to treat these as a smorgasbord, however - you only need to follow one strategy to come up with a terrific idea. I'd encourage professionals to find the model that appeals to them the most and then double down. For instance, if you like interviewing people or writing, creating original research - which can include articles or white papers - might be a good strategy. And if you're a multidisciplinary Renaissance person, combining the perspective of different fields might be the way to go. 5. What's the best balance to growing your reputation, while avoiding any potential conflicts with your employer that may arise due to the process? 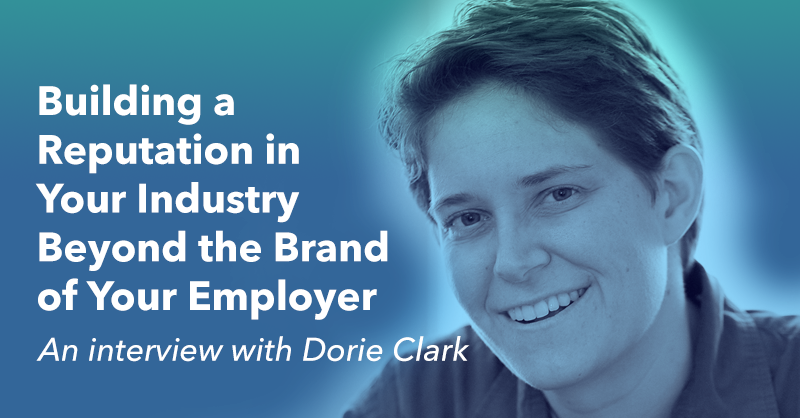 During your employment, you'll want to emphasize elements where your brand and your company's brand overlap - they're an innovative company, and you're an innovative executive. It's also a good idea to establish elements of your brand that have nothing to do with the company's (but don't contradict their brand); perhaps you're also multilingual or a children's book author or create smartphone apps on the side. 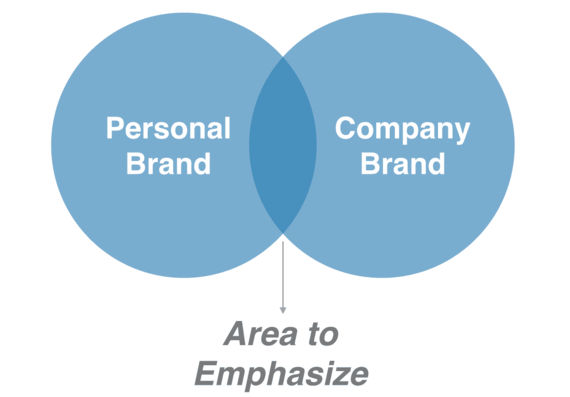 The critical thing is that you should never actively promote elements of your brand that are in direct conflict with your employer's, or you won't last long. If you're working for an apparel company, speaking out on sweatshop issues - unless your employer is onboard and encourages that - is risky indeed. You may decide it's a necessary moral stance, but that's a different question. 6. All previous experiences, personal and professional, impact a person's outlook and approach to becoming a thought leader. How can you identify a seemingly unrelated experience to your career goals, while also filtering out moments that aren't as relevant? I think almost any element of a person's lived experience can potentially be relevant in their professional lives; it's just a question of whether they want to pursue it and develop that strand. In Stand Out, I profile Paco Underhill, a business author and the founder of the consulting firm Envirosell. He founded the company, which advises retailers on how they can get more customers to buy, based on his training as an anthropologist and a nightclub owner. Your past history might look irrelevant until you decide it's not. 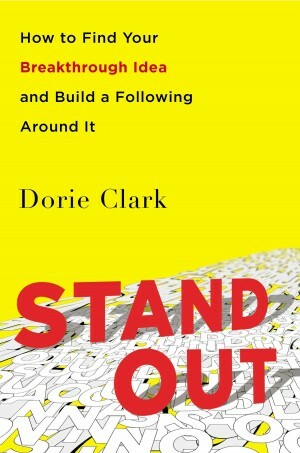 To start learning how to establish yourself as an expert in your field, check out Dorie Clark's new book, Stand Out: How to Find Your Breakthrough Idea and Build a Following Around It available on Amazon, Barnes & Noble and major booksellers everywhere. Brian Honigman is the CEO of Honigman Media, a content marketing consultancy that provides strategy on content distribution and content creation. Subscribe to his newsletter to become a better marketer. A version of this column previously appeared on his blog.